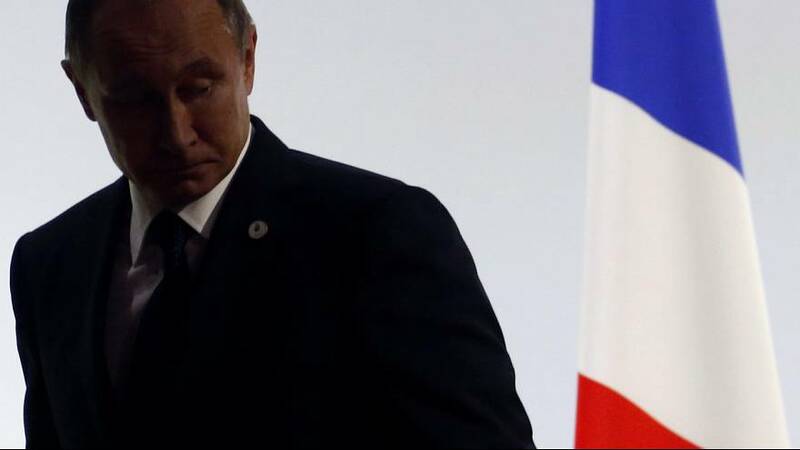 Russian President Vladimir Putin has cancelled a planned trip to Paris next week, after his French counterpart said he would see him only for talks on Syria. Francois Hollande had himself expressed reservations about a meeting amid growing French anger at the Russian-backed Syrian government onslaught against rebel-held areas of the city of Aleppo. Hollande told the Council of Europe in Strasbourg on Tuesday that the cancellation came after he made it known he would not accompany Putin to ceremonies, such as the inauguration of a new Russian Orthodox cathedral in Paris. “Dialogue is necessary but it must be firm and frank. Otherwise it has no place and it is a charade,” Hollande said. French officials have been grappling for ways to put new pressure on Russia after Moscow vetoed a French-drafted United Nations Security Council resolution on Syria. The cancellation of Putin’s visit is the latest episode in deteriorating relations between Moscow and the West. On Monday, France’s foreign minister said his diplomats were working to find a way for the International Criminal Court’s prosecutor to launch an investigation into war crimes it says have been committed by Syrian and Russian forces in eastern Aleppo. Making no mention of Syria, the Kremlin confirmed there would be no trip on October 19. It said the Russian leader was ready to come to Paris at President Hollande’s convenience.